Well I am not sure where to start this month, it’s been hectic here in the Fisher household. 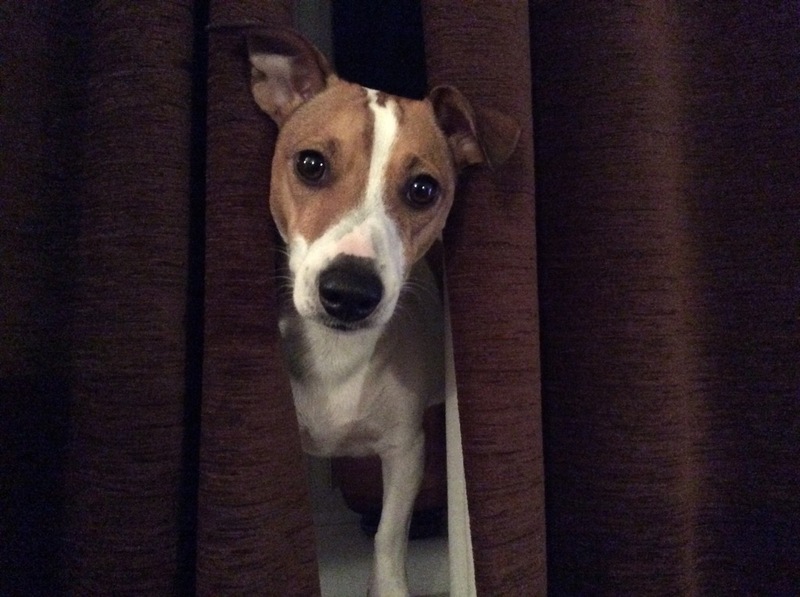 I chose today to update my blog as it is the celebration of Chinese New Year today and the Year of the DOG….. do we get presents like at Christmas? Or do I get treated extra special for a whole year? But mustn't complain, as already this year there have been several breaks away and I was included on two of them. The master has been sorting the last of his Editors queries for the new oil pastel book, shouldn’t be long now till it’s published. The mistress will let you all know when its available to purchase and put all the details on the website. I think she's getting nearly as good as me with this website updating. At the end of January we had a walking break in the Lake District, so my master could capture images and sketches of this amazing countryside. It was my first time to this area of the UK and we did some really long walks and encountered a lot of different weather. Not too keen on hail though, caught me off guard, it’s no fun when the owners are wrapped up in coats and they forget mine !! 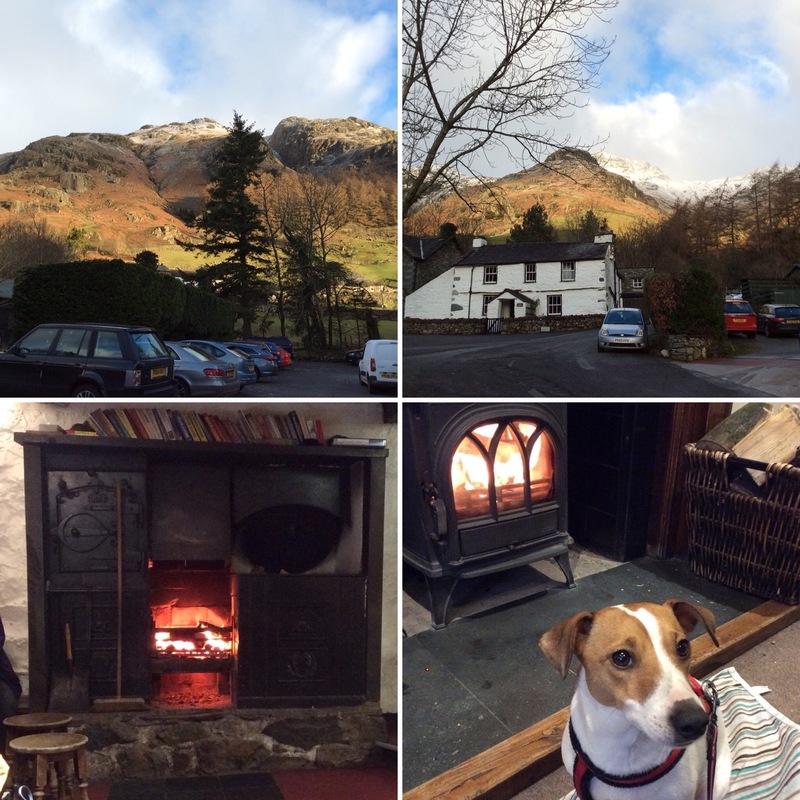 A compensation for all the Lake District walks is that all the local pubs are dog friendly and most have lovely log fires. I am particularly fond of an open fire. We encountered lots of signs outside pubs and cafes saying " Muddy boots and dogs welcome" it was much appreciated by us all, well done Lake District. There seems to be a doggy phenomenon called Max and Paddy, a pair of spaniels from the Lake District, they were even on The One Show a couple of weeks ago !! I have noticed that my mistress even follows them on Facebook !! My next trip was a two night sleepover at the mistresses parents, it’s great there... ginger nut biscuits, a roaring open fire and loads of snuggles... doggy heaven. On a last note I have been interested in the origin of my name, owners were inspired by watching all the series of The Vikings (not the one with Kirk Douglas) hence my name Freyja is Viking. Pawing through the internet heres what I found out…. Really like the idea of driving a cart pulled by two cats..mmm.. wonder if next doors cats would oblige me? "Freyja ("lady sovereign/supreme") is one of the major goddesses of Norse Mythology. She is second only to Frigg and the mightiest of the Vanir. Freyja is the goddess of love, war, death and seidr. Freyja is in many aspects the feminine counterpart of Odin. She is the primal völva and the one that taught Odin the art of seidr, and is also the leader of the Valkyries. Half of the dead taken by the valkyries belong to her and she receives the dead noble women and shield maidens. She has many ways of travelling. Sometimes she rides a cart driven by her two cats or rides her great boar. She also takes the shape of a falcon, a shape she may lend to any one. Freyja is the most beautiful of the goddesses and desired by both gods, giants and dwarfs. Lagertha invokes her when she tries to cleanse Ragnar's wound and when training her shield maidens. When Porunn disappears, Aslaug tells her to turn to Freyja for guidance." Time to sign off now, dinner awaits, will it be Chinese inspired tonight? Heres a photo to end this blog of my time in the Lake District and some smashing open fires.